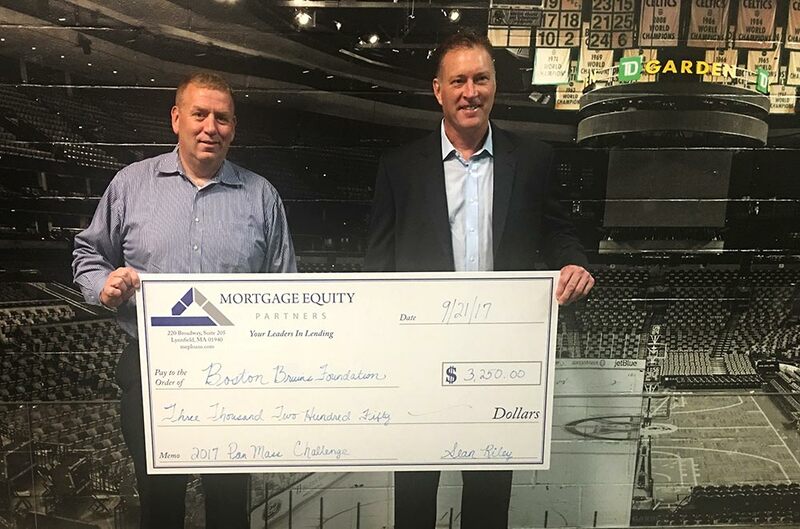 September: Mortgage Equity Partners raised over $3200 in support of David Holding, Vice President of Secondary Markets helping to bring the amount of money raised by David to over $6000. The Pan Mass Challenge is a 192-mile bike ride from Sturbridge MA to Provincetown MA, the money raised by the PMC is donated directly to the Dana Farber Cancer Institute. This year’s PMC goal was to raise 46 Million dollars. For the months of July and August Mortgage Equity allocated $25.00 per closed loan for this donation. Mortgage Equity Partners is a residential mortgage lender with offices in New England and Florida and is committed to the fight against cancer. Many people at the company have been personally touched by cancer and found help, support and comfort at Dana Farber. “As a member of the Boston Bruins Foundation PMC Team, I am proud to have been involved in the PMC this year.” Says Holding. “Although I was sidelined by a training injury and unable to ride I was still able to raise money for this important cause. I am grateful to my employer Sean Riley, CEO of Mortgage Equity for his generous support year after year. I ride in memory of my beloved aunt, Ellen Dupuis and dear friend Nancy Maddox. We all ride in memory of all of our loved ones who have fallen to this disease as well as in support of those who are fighting cancer today, I cannot wait to be back in the race next year”. Concludes David Holding.